Redlands is located just west of Werribee Town Centre and nestled comfortably between the great cities of Geelong and Melbourne. Situated on Geelong Road, the freeway is accessible enough to offer freedom but far enough away so that fresh country air and quiet serenity are yours to enjoy. Spread your wings at Redlands. The best of everything for your growing family is getting ready at Redlands. Thanks to impeccable town planning and great attention to sustainable living, the Werribee precinct has become the ‘go to’ destination for those working in either Geelong or Melbourne. 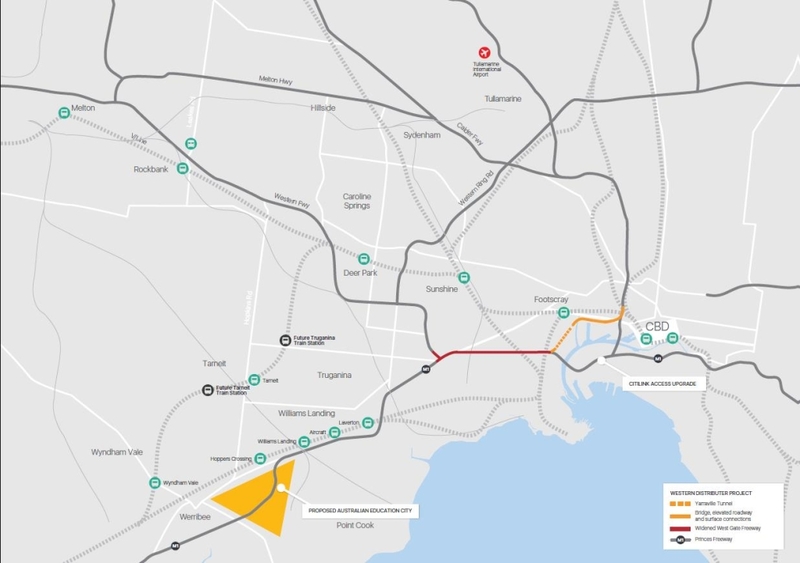 Public transport is on the move with local buses, new train stations planned or open for business, while the Princes Freeway flows freely between the two cities. Redlands is an ideal place to call home with local amenities right at your fingertips. 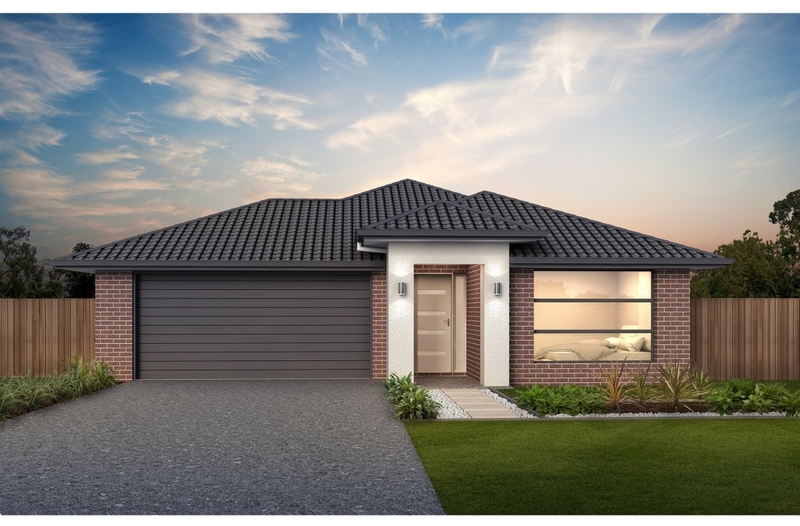 Nearby walking and bike paths meander along the tranquil Werribee River, the Primary and Secondary schools are second to none, and the local shopping precinct and health facilities are within easy reach. Werribee itself is well-established, though in the not-too distant-past, it was a Sunday drive’s destination, now it retains a country charm with city conveniences. Recreation areas, barbeque facilities, Werribee River, You Yangs National Park, Riverbend Historical Park, Werribee Mansion (with the glorious State Rose Garden), Equestrian Centre and the spectacular Werribee Open Range Zoo and Safari Park, are all amazing local destinations oering residents entertainment on the doorstep. Shadowfax Winery on K Road offers a truly superb local wine with food tastings, lunches and dinners in the glorious Mansion grounds. Drive down to the magnificent Surf Coast and Great Ocean Road, via the recently completed Geelong Bypass. Geelong itself with Simonds Stadium, Corio Bay, boating, fishing, charming restaurants and shopping is a half hour journey to the west of Redlands. Go east onto the Princes Freeway to Melbourne for a half hour journey to work, sport and entertainment. Werribee township is blessed with the wonderful Werribee Plaza Shopping Centre featuring Gold Class cinemas, fresh food markets, supermarkets, large chain stores and a busy public transport hub. Discover the growing passion for locally grown produce in and around Redlands, Werribee. Primary and Secondary education is provided by a range of public, private and Catholic colleges meaning children can grow and learn within their own community. A campus of Victoria University is also located in Werribee. Young mothers will enjoy peace of mind with Mercy Hospital for Women located within Werribee. A new, multi disciplinary medical facility, Wyndham Private Medical Centre is opposite. The greater community is also well serviced by Melbourne’s major hospitals and smaller local medical clinics throughout the Wyndham Shire. Residents of Redlands can keep healthy and fit at Werribee Indoor Sports, where groups of friends and families can enjoy playing social sport in an undercover environment all year round. Private local clubs include the beautiful, 18 hole Werribee Golf Club while the massive Eagle Stadium has been transformed into the largest indoor basketball facility in Melbourne’s west, with a six court, multi-purpose sporting and spectator arena. Werribee also has local indoor and outdoor public swimming pools. 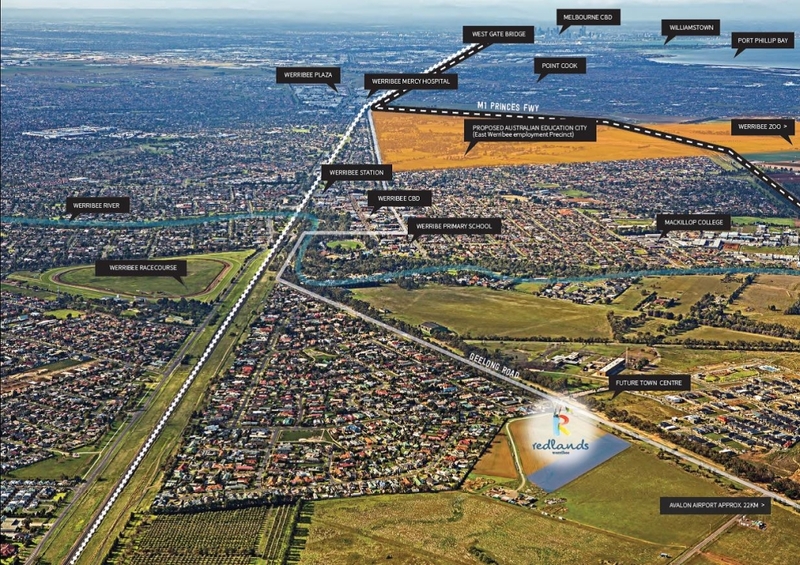 With easy access to Princes Hwy, Redlands is just 32kms drive from Melbourne CBD. A country train service direct to Southern Cross operates daily from Werribee Station taking approximately 30 minutes. Redlands will soon feel like home. 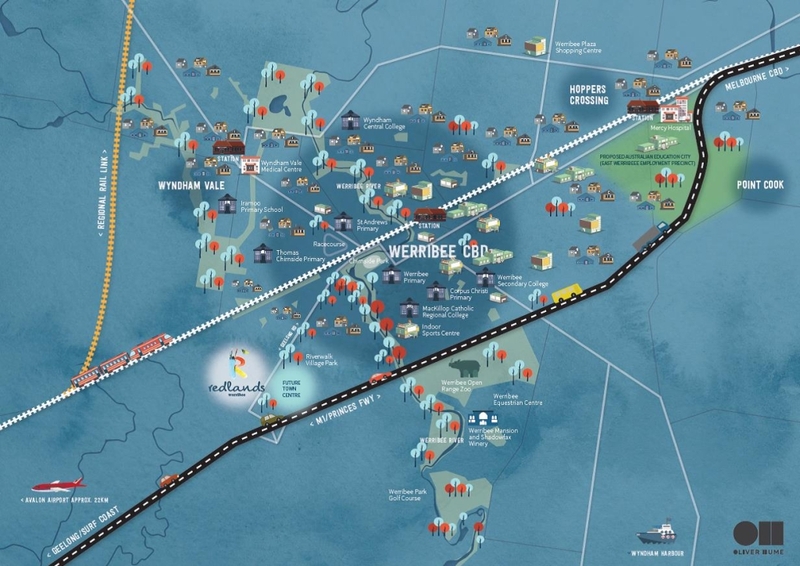 Build your dream home and grow your family in this fresh, fun location within Victoria’s fastest growing region. If you would like to arrange a private consultation, Contact us today.